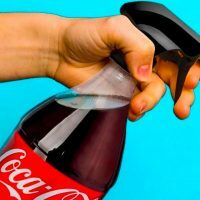 Many pet owners take their pets with them wherever they go, whenever they can. Travelling with your pet can create a few logistical problems, such as where you can stay, where you can eat, and where to find pet-friendly convenience stops for your pet. Luckily there are hotels throughout the country that want you and your pets to feel welcome. 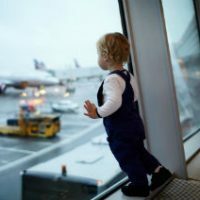 Whether you’re driving or flying, you’ll find hotels that will be happy to open their doors and even leave a light on for you and your pet. Here is a list of the top pet-friendly hotels in the United States, ranging from economy to luxury options. 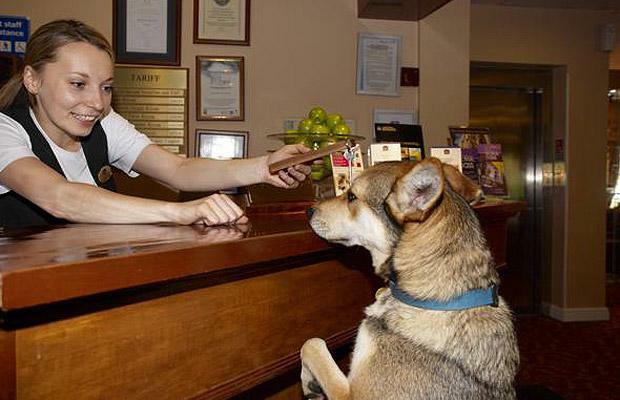 Best Western is the “Big Dog” of pet-friendly hotels and motels with over 1,600 locations. They allow up to two dogs under 80 pounds in each room. 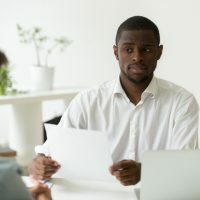 Pet charges are $20 per day and there may be a refundable damage deposit. Guests with cats, birds, snakes and monkeys should check with the location in question to be sure these pets are allowed. Located throughout the United States, Motel 6 accepts pets of any breed and size, including guests with multiple pets. Your pets are welcome as long as they are not prohibited by law or pose a health and safety risk. Motel 6 has over 1,100 properties nationwide. With their “You Stay Happy, Pets Stay Free” motto, what more could you want? Red Roof Inn has more than 300 locations to choose from. Known for their high-quality service at an affordable price, La Quinta welcomes guests with two pets for no fee or concern about breed or weight restrictions. They even allow pets to stay alone in rooms if they are well-behaved. For travelers needing longer stays, Candlewood Suites offers extended-stay rooms for guests and their pets. They welcome multiple pets up to 80 pounds each. They have a standard fee based on the length of your stay and have at least one designated area for your pets outside with convenient disposal bags provided. Candlewood also places magnets on your door so the staff knows a pet is a guest, as they allow quiet pets to stay unattended. 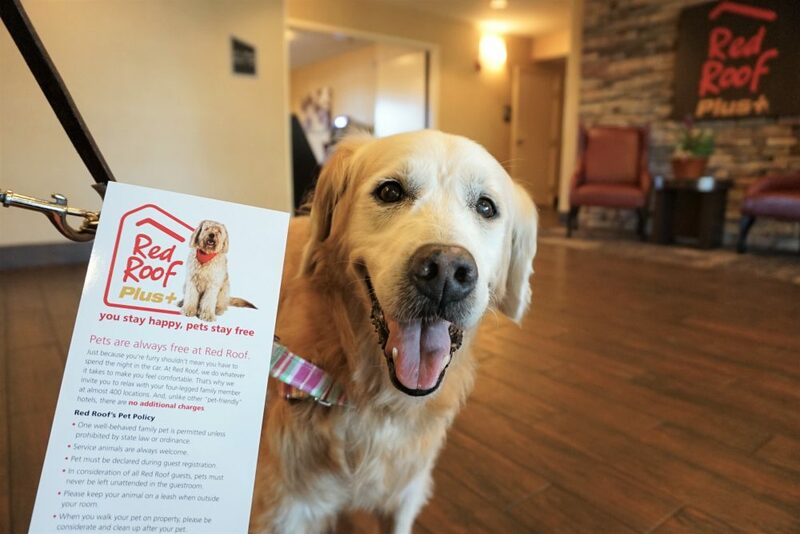 For the royal treatment of humans and pets, W’s “Pets Are Welcome” program includes a welcome packet with a pet guest tag, treats, toys, bags and a menu of the pet services they offer. Pet-friendly rooms feature custom pet beds, water and food bowls and bedtime treats. W has a nightly pet fee and a non-refundable cleaning fee, as well as a one-pet-per-room rule along with a 40 pound weight limit, though this limit can be waived with prior approval. Kimpton Hotels, with 59 boutique hotel properties in the U.S. welcomes “any pet that can fit through the door.” There is no extra charge for your pet to stay whether it’s furry, scaly, or feathery. They provide pet beds, along with a list of pet-friendly restaurants and businesses in the area. And don’t miss their wine reception every evening where pets are welcome, too. 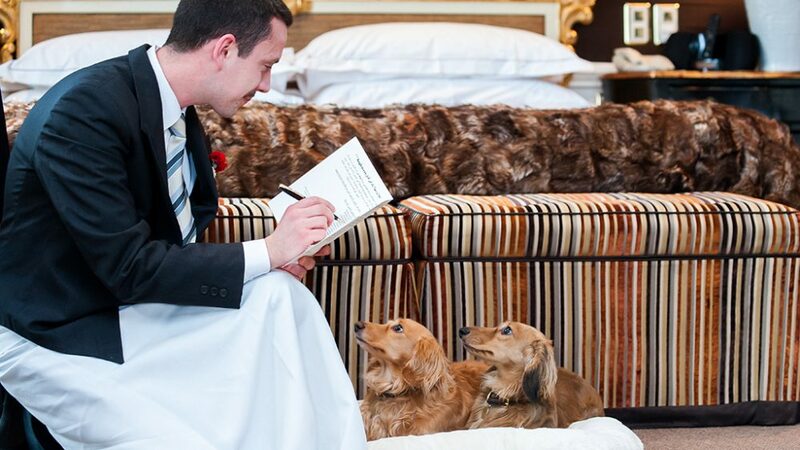 Loews Hotels provide luxury for people and pets. 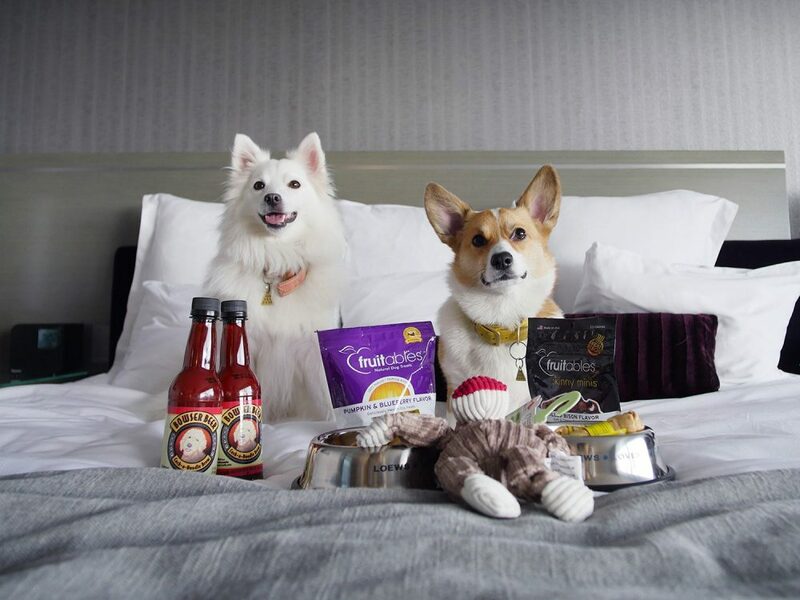 With their “Loews Loves Pets Program” your pet will get a personal name tag, tasty treats and a bowl. Their pet services include walking, pet sitting, and rooms include pet beds and scratching posts for their feline guests. 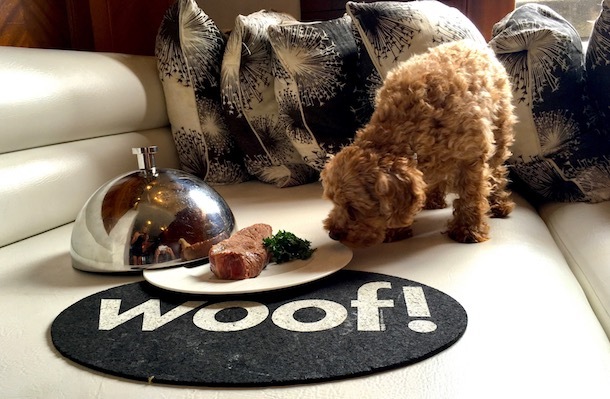 Along with their room service menu there is a special doggie room service menu with selections that are vet-approved. 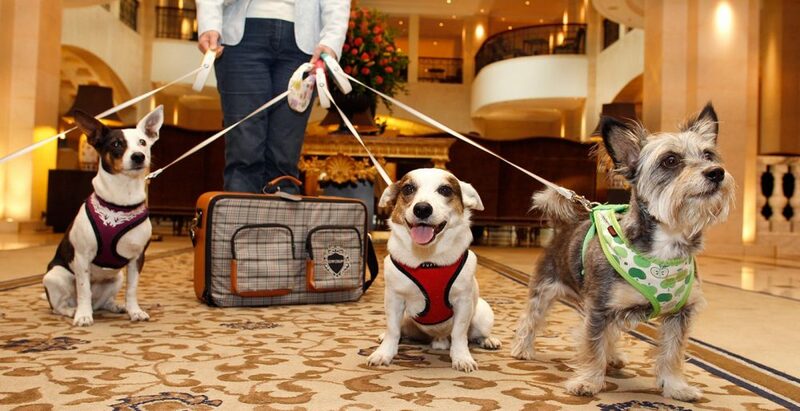 With their Canine Ambassador program, Fairmont Hotels and Resorts offer luxury accommodations to their human and pet guests with beds and bowls for food and water. 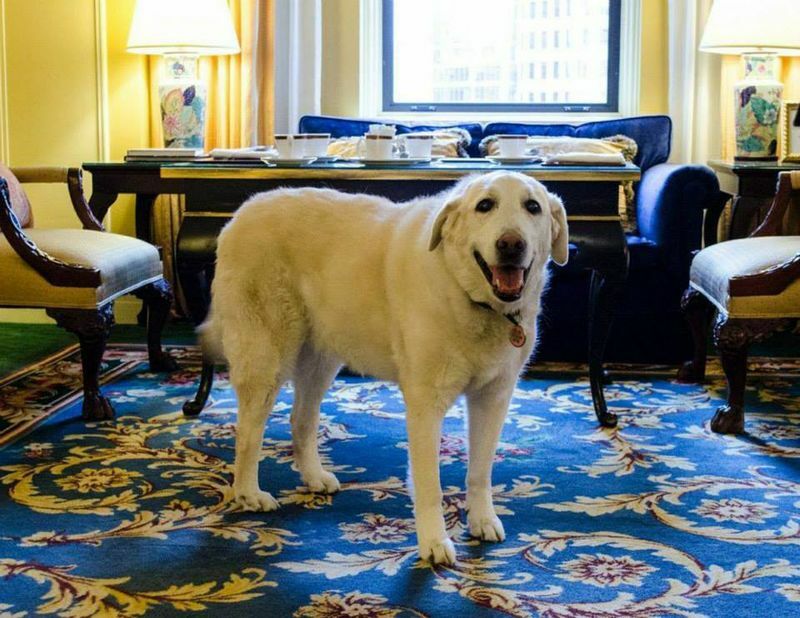 And when in the nation’s capital be sure to check out the Fairmont Washington D.C., where dogs stay free and enjoy handmade treats by their Executive Pastry Chef. What’s most important when you travel with your pet is to make your arrangements well in advance to be sure the room you want and the services you need will be available for you and your beloved pet.